Millions of men now practice yoga around the world, but more are on their way. Jered Seibert explains why this could be a breakthrough year for guys on the mat. 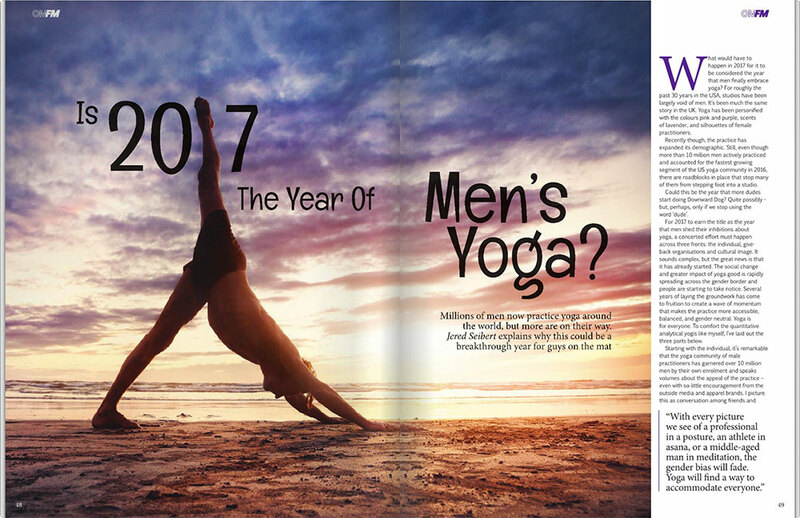 What would have to happen in 2017 for it to be considered the year that men finally embrace yoga? For roughly the past 30 years in the USA, studios have been largely void of men. It’s been much the same story in the UK. Yoga has been personified with the colours pink and purple, scents of lavender, and silhouettes of female practitioners. Recently though, the practice has expanded its demographic. Still, even though more than 10 million men actively practiced and accounted for the fastest growing segment of the US yoga community in 2016, there are roadblocks in place that stop many of them from stepping foot into a studio. Could this be the year that more dudes start doing Downward Dog? Quite possibly – but, perhaps, only if we stop using the word ‘dude’. 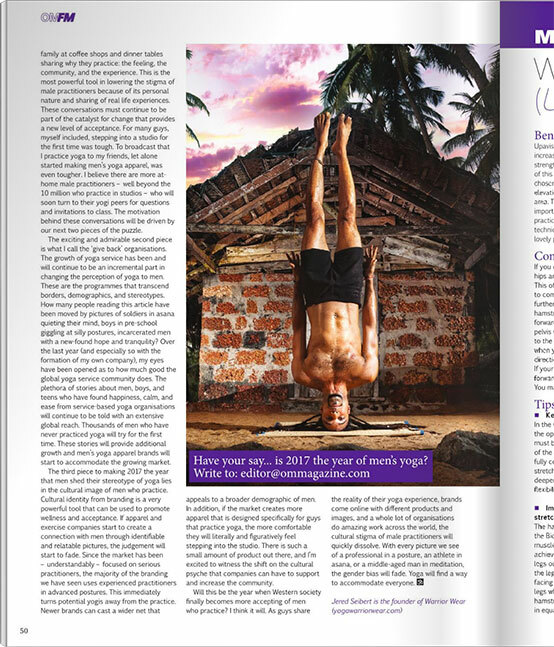 For 2017 to earn the title as the year that men shed their inhibitions about yoga, a concerted effort must happen across three fronts: the individual, give-back organisations and cultural image. It sounds complex, but the great news is that it has already started. The social change and greater impact of yoga good is rapidly spreading across the gender border and people are starting to take notice. Several years of laying the groundwork has come to fruition to create a wave of momentum that makes the practice more accessible, balanced, and gender neutral. Yoga is for everyone. To comfort the quantitative analytical yogis like myself, I’ve laid out the three parts below. 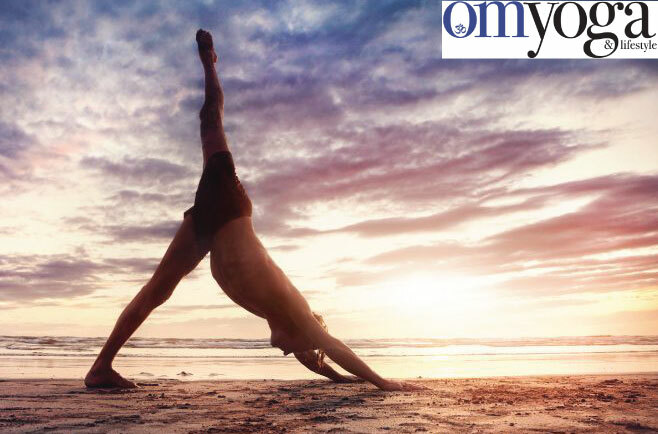 Starting with the individual, it’s remarkable that the yoga community of male practitioners has garnered over 10 million men by their own enrolment and speaks volumes about the appeal of the practice – even with so little encouragement from the outside media and apparel brands. I picture this as conversation among friends and family at coffee shops and dinner tables sharing why they practice: the feeling, the community, and the experience. This is the most powerful tool in lowering the stigma of male practitioners because of its personal nature and sharing of real life experiences. These conversations must continue to be part of the catalyst for change that provides a new level of acceptance. For many guys, myself included, stepping into a studio for the first time was tough. To broadcast that I practice yoga to my friends, let alone started making men’s yoga apparel, was even tougher. I believe there are more at-home male practitioners – well beyond the 10 million who practice in studios – who will soon turn to their yogi peers for questions and invitations to class. The motivation behind these conversations will be driven by our next two pieces of the puzzle. The exciting and admirable second piece is what I call the ‘give back’ organisations. The growth of yoga service has been and will continue to be an incremental part in changing the perception of yoga to men. These are the programmes that transcend borders, demographics, and stereotypes. How many people reading this article have been moved by pictures of soldiers in asana quieting their mind, boys in pre-school giggling at silly postures, incarcerated men with a new-found hope and tranquility? Over the last year (and especially so with the formation of my own company), my eyes have been opened as to how much good the global yoga service community does. The plethora of stories about men, boys, and teens who have found happiness, calm, and ease from service-based yoga organisations will continue to be told with an extensive global reach. Thousands of men who have never practiced yoga will try for the first time. These stories will provide additional growth and men’s yoga apparel brands will start to accommodate the growing market. The third piece to making 2017 the year that men shed their stereotype of yoga lies in the cultural image of men who practice. Cultural identity from branding is a very powerful tool that can be used to promote wellness and acceptance. If apparel and exercise companies start to create a connection with men through identifiable and relatable pictures, the judgement will start to fade. Since the market has been – understandably – focused on serious practitioners, the majority of the branding we have seen uses experienced practitioners in advanced postures. This immediately turns potential yogis away from the practice. Newer brands can cast a wider net that appeals to a broader demographic of men. In addition, if the market creates more apparel that is designed specifically for guys that practice yoga, the more comfortable they will literally and figuratively feel stepping into the studio. There is such a small amount of product out there, and I’m excited to witness the shift on the cultural psyche that companies can have to support and increase the community. Will this be the year when Western society finally becomes more accepting of men who practice? I think it will. As guys share the reality of their yoga experience, brands come online with different products and images, and a whole lot of organisations do amazing work across the world, the cultural stigma of male practitioners will quickly dissolve. With every picture we see of a professional in a posture, an athlete in asana, or a middle-aged man in meditation, the gender bias will fade. Yoga will find a way to accommodate everyone.